The exciting new Yamaha R3 bLU cRU European Cup aims to find the next generation of potential GP stars, and tyre maker Dunlop has now been selected as the official tyre partner. This one make series will see all riders compete on identical YZF-R3 machinery, shod with Dunlop’s latest D213 GP Pro treaded race rubber in sizes 110/70 R17 front and 140/70 R17 rear. The Cup, managed by the experienced team at JiR, fully complements Yamaha’s successful bLU cRU programme, which was created to support young riding talent. Dunlop’s D213 GP Pro has been proven at the very highest levels of motorsport in recent seasons, both in circuit and road racing. The Cup will have a special category open to riders aged between 13 and 19, with a second category for riders over the age of 19. They will be competing at seven international circuits including world championship circuits Portimao and Jerez. Each of the top 25 riders in the overall standings at the end of the season will keep their Dunlop equipped YZF-R3 as a prize. 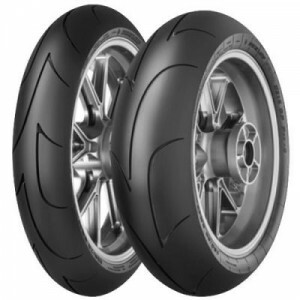 Dunlop’s latest supersport & superstock race tyre shares a number of key technologies with their latest road rubber, bringing the very highest levels of performance to everyday road riders. You can view Dunlop’s full range here.